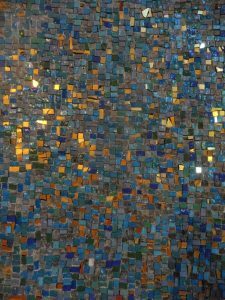 Work together with Teaching Artist Vicky Youngman in this two part mosaic workshop to design a bench with small scale glass tiles, which will be a permanent structure in ArtsWestchester’s Gallery. Register today! Enrollment is limited and is on a first come, first serve basis. To sign up contact Jessica at 914.428.4220 ext.314 or [email protected]. For a complete list of upcoming Teen Tuesdays and Thursdays at ArtsWestchester, click here. Workshops are FREE for students ages 12-16 yrs. and are held from 4:30–6pm at ArtsWestchester. Participate in an art activity, view our current exhibition and enjoy snacks and refreshments.